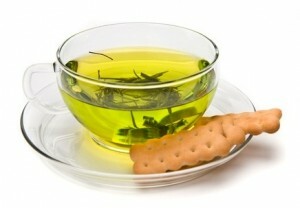 Does Green Tea Lower Blood Sugar Levels? Research has linked green tea and its compounds to many potential health benefits, including preventing cancer and type 2 diabetes. But can drinking it lower your blood sugar levels? There is a growing body of evidence showing that having diabetes, or signs of insulin resistance, may increase the risk of certain cancers. The link between diabetes and cancer is strongest among certain types of cancers, such as kidney, pancreatic and colorectal. This area provides information about various types of cancers, including those that are seemingly more common amoung people living with diabetes. A major new study has added to evidence suggesting that high blood sugar and problems in sugar metabolism may increase cancer risk. How Much Vitamin E Is Enough? 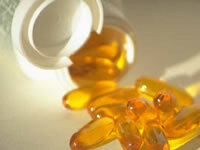 Scientists still are unsure how much daily vitamin E is best. The committee that created the latest federal government’s Dietary Guidelines for Americans says that many adults and children in the U.S. may not consume optimum amounts of vitamin E.
When soy foods were first tied to a lower risk of cancer, consumer publications made the link seem certain. Now many people are unsure what soy can do against cancer. For years, population comparisons around the world have linked high-fat diets with greater breast cancer risk. Laboratory and animal studies support such a link. But studies of individuals have had mixed results. Menopause is a natural step in a woman’s life cycle, yet several body changes that accompany menopause pose problems for many women. One renowned researcher estimates that 70 percent of colon cancers could be prevented with only moderate changes in diet and lifestyle. Current research points to several strategies you could employ to protect yourself against colon cancer development. The importance of eating at least three servings of whole grains is becoming clearer and more widely publicized. Yet surveys suggest that Americans still eat no more than a single serving a day. For many people, the question isn’t whether or not exercise is good for health, but how much physical activity it really takes to get health and weight control benefits. 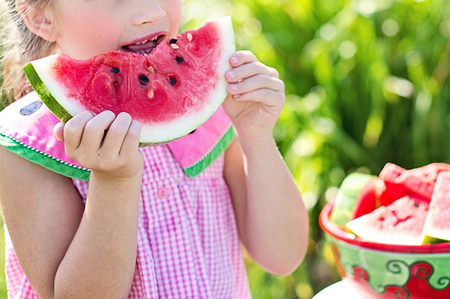 Research shows that tomatoes should not be considered our only major source of lycopene, watermelon may be just as good a source! Recent studies have sparked debate over whether or not garlic can help lower cholesterol. While that discussion rages back and forth, another set of findings about garlic’s health benefits tends to get overlooked.